Rodney Yee and Colleen Saidman Yee are the Directors of the Yoga Therapy component of the UZIT program. They will provide the core of the yoga therapy instruction. Ed Dailey has been a nurse for more than sixteen years. He has worked in several clinical settings, including psychiatry, post-surgical, oncology, HIV medicine, and the operating room. He is a graduate of the Urban Zen Integrative Therapy program and spent 18 months implementing yoga therapy on the surgical and oncology floors at Beth Israel Medical Center in New York City. Ed is one of fewer than 100 nurses in the country who has received extensive training as an Independent RN Patient Advocate™. He has spent the past 11 years studying yoga with acclaimed teacher Rodney Yee. Ed has implemented a pilot program utilizing the Urban Zen Integrative Therapy modalities at the University of Connecticut Health Center in Farmington, Connecticut. He currently lives in Florida and works at the Andrews Institute. Reiki Master, Lena Falth is the Director of Integrative Reiki . Lena’s healing mission began with a near-death experience in 1995, which was followed by her Reiki training in the revered, traditional Mikao Usui-Hawayo Takata Lineage.Her background includes developing clinical research trial results of the University of Chicago into educational material and training doctors and hospital staff in new technology. Today Lena’s private healing practice serves many prominent figures in the arts and entertainment, politics and business fields. 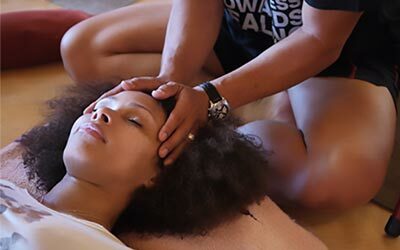 Her practice includes sacred training workshops to awaken the mind, body and soul connection in order to heal and improve the quality of our stressful lives. Having begun her 15-year Reiki practice in hospitals and hospices, Lena’s current mission is to educate and meet the needs of professional health care providers, nurses and community members with evidence based knowledge about the importance of Reiki energy therapy in integrative healthcare. Mary Taylor began studying yoga in 1971 while earning a degree in psychology. It was not until the early 80’s, when she moved to Boulder and started studying yoga with Richard, that yoga became a central thread in her life. Before that yoga had provided a means of relieving stress, and honing a sense of focus and well being. In 1988 Mary traveled to India to study with K. Pattabhi Jois, and began to see the overlay of yoga with her interests in food, cooking, movement, anatomy and art. Mary has authored three cookbooks and co-authored a book which explores yoga, meditation and finding one’s personal dharma as a means of bring lasting meaning and happiness. (What Are You Hungry for? Women, Food and Spirituality.) 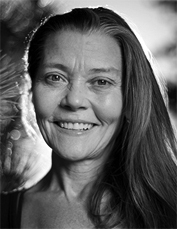 Mary is senior faculty for the Yoga Therapy and Contemplative Care modules of the UZIT Program. A graduate of Pace University with a Bachelors of Nursing, Mary-Beth is specialty certified as an oncology nurse and board certified as a holistic nurse, merging the art and science of oncology nursing. She has served in various positions at North Shore University and Huntington Hospitals, Sloane Kettering and Monter Cancer Center in Long Island, NY. Mary-Beth is now a graduate-level student in the Adult Nurse Practitioner program at Stony Brook University, learning primary care and exploring her interest in the survivorship bridge between oncology and primary care. Her patients receive her expertise in conventional cancer care as well as the use of integrative therapies for symptom management. Mary-Beth shares her love of whole foods cooking, plant based eating and the use of essential oils with all of her patients. Mary-Beth is a 200-hr E-RYT/500-hr Registered Yoga teacher, teaching in diverse settings since 2000. She is also a certified instructor of Breema, a system of gentle bodywork that fosters deep relaxation. As one of our clinical instructors for the Urban Zen Integrative Therapy Program, Mary-Beth has taught at UCLA Medical Center, Kent State and Ursuline State Nursing Schools, and the Yoga Works/Urban Zen collaborative in NYC.